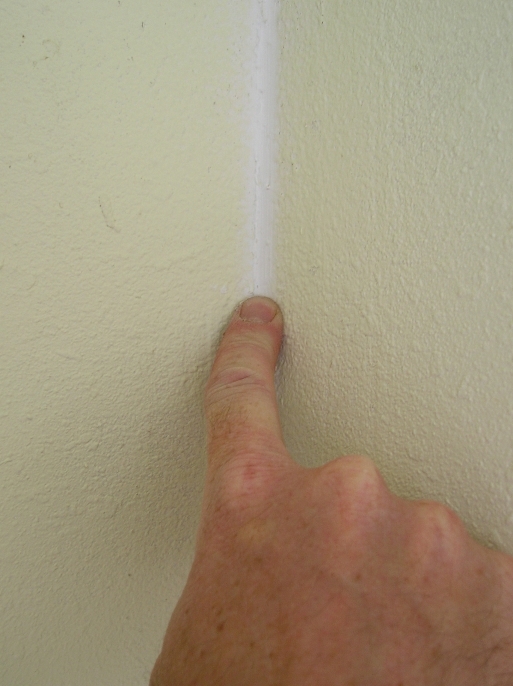 If you have cracks in the “inside” corners of walls you have an easier and a touch more logical solution. Instead of using mud or spackle you can use regular painters caulk and then finger finish the corner. The caulk is paintable and when you use a finger it finishes smooth. Then touch up with paint and your done. If you use mud you may have to apply and sand and possibly apply more compound and sand again. Just be sure to use a wet finger. Been at this stuff a while and this has been the best “trick” yet. Good call on the caulked corners. This is also a good idea for ceilings too as sometimes you will find “truss uplift” especially in colder climates or in homes with very long roof trusses. A good quality elastomeric caulk for continued expansion and contraction over the years is important for a long lasting repair. When I typically paint a room I always caulk the inside corners as I do with moldings. However, you need to make sure that the caulking you use is both paintable and not prone to shrinking. Most latex caulking contains water which makes it very easy to use and keeps the latex from solidifying. 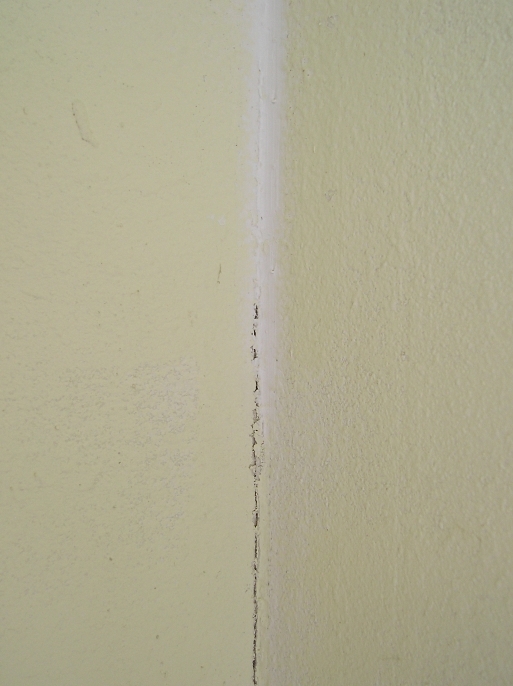 Once the caulking is exposed to the environment the water in the caulking slowly evaporates. This leads to less volume and ultimately shrinkage. Therefore, if the wrong caulking is used you might see a nicely finished corner turn into a real mess. My advice would be to use a good either exterior grade caulk that is not prone to shrinking or a non-shrinking sand free grout.